On Wednesday 24 June Andersons had a wonderful opportunity to celebrate a significant benchmark in our history. 2015 marks Anderson’s 200th year Anniversary; in 1815, General Andrew Anderson bequeathed the money for this very special place to be built. It’s wonderful to think that over the years Anderson’s has provided a home for so many people both young and old. General Anderson would be very proud. 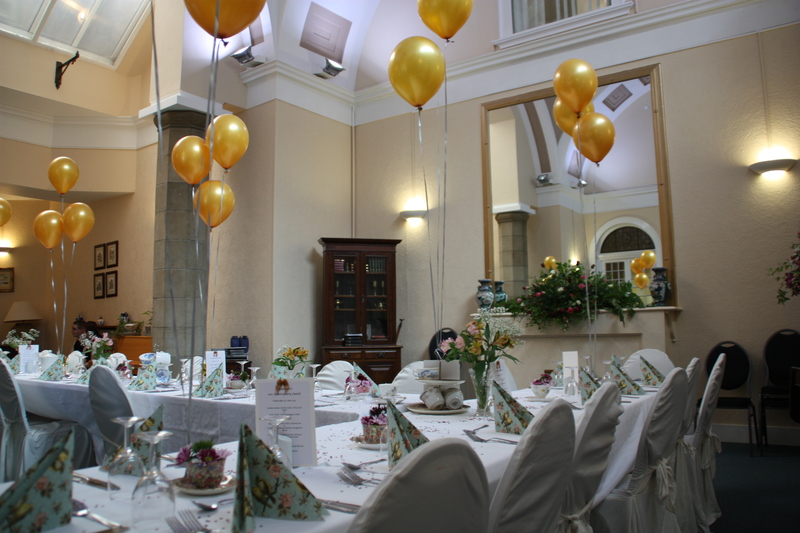 In preparation for this celebration we decorated the hall with beautifully displayed flowers and tables were arranged with vintage inspired napkins, crockery and golden balloons. 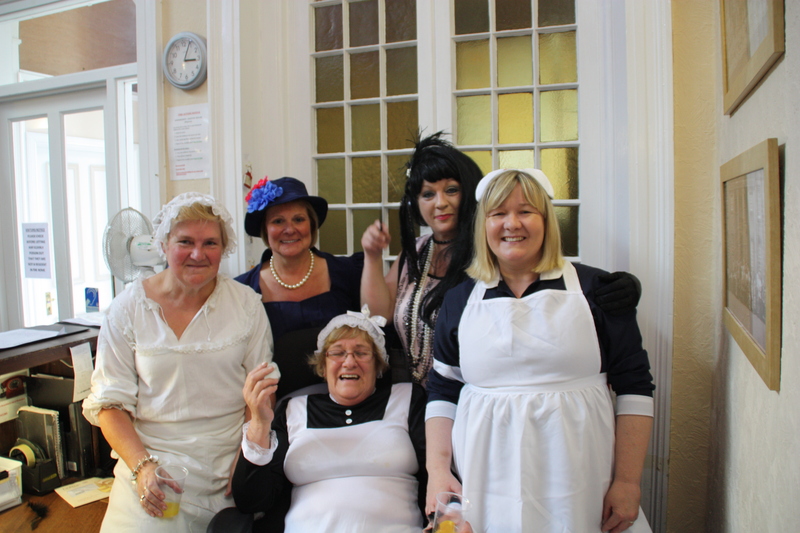 Fancy dress from the Regency Period through to the Victorian Period was worn by staff, relatives and residents. 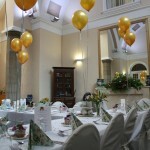 Everyone in attendance enjoyed a ‘fine dining’ experience with help from Moray College students and staff at Andersons. Our own Governor Margaret King (Presbytery of Moray) said Grace for us all and compliments must go to the Head of Catering and her team for a wonderful meal. 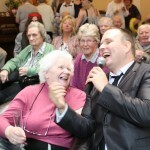 ‘Bublé and Bubbles’ followed with entertainment provided by Jason Porter (Michael Bublé Tribute Artist). Additional guests arrived for this part of the day and were welcomed with a glass of bubbly. 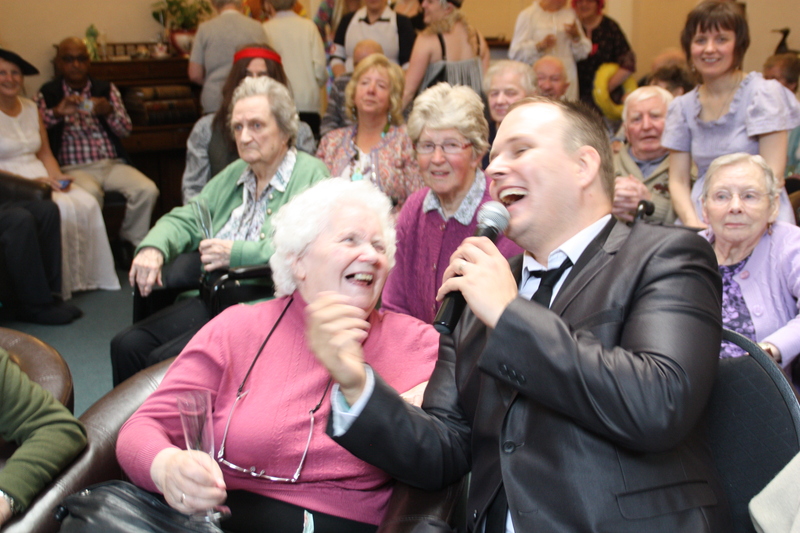 Jason’s performance was energetic and animated which encouraged many residents, staff and guests to get up onto their feet and dance. Jason dedicated a song to a staff member who was celebrating her birthday and also sang to a resident and his wife who were 1 day away from their 68th Wedding Anniversary. During the interval a slice of celebration cake was enjoyed by all with Moray College presenting a cheque to the value of £585.25 to Andersons. 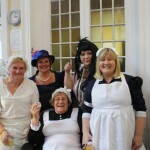 This money was raised at the Fine Dining Evening which was held at Moray College on the 21 May. The Northern Scot were also in attendance and managed to capture our special moments. A very special day which will be remembered for a very long time!